This week Google has surprised us with drastic changes in its algorithm. Some changes in its algorithm, on a regular basis is something that Google has accustomed us. Every month, Google seeks to keep improving search results and will neutralize "shortcuts" that take some SEO, and refine the results. But this time, the change has been dramatic and as Google itself, affects 12% of the results of the search pages. The purpose of the change is to lower the positioning of pages devoted to copy or add mass content of others, without contributing anything new, then include in your site a large number of ads Google or other affiliate programs. The truth is that the network began to be flooded with pages whose sole purpose was to show ads (which on the other hand, the vast majority were from Google itself). 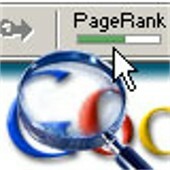 In many cases these pages, original content, and riddled with advertising, appeared in the top of the searches because their creators, aware of all SEO techniques, had managed to make it so. In English this kind of page is called "Adsense farm". Hence this is the algorithm update has popularly dubbed the "Adsense Farm Update”. According to Google, its engineers have been working for over a year to find a way to neutralize the strength of these web pages, and it seems that with the new algorithm lon has achieved ... The question that arises now is how exactly has been modified the algorithm and what Google is taking into account when determining whether a site has original content or not. Compare indexes created from scanning pages is already what he was doing at the moment when discern what was considered duplicate content (and punishable) and what not. But when one copy only part of a page, he included in his, and fill the rest with ads, is something that is not detectable from the simple comparison of indices simply why the word list that includes the page is different and original about that you copied. So Google has had to find another way to do it. By reading forums SEO parece que el resto de profesionales están también preguntándose qué es lo que ha cambiado exactamente, y aunque especulan sobre diversas posibilidades, ninguna parece concluyente. En algunos casos, incluso ha cundido el pánico entre gente que practicaba el Adsense Farming y algunos indican que han perdido un 40% de su tráfico. Desde mi punto de vista, lo más lógico sería que el cambio consistiese en que ahora Google es capaz de reconocer párrafos enteros (no palabras sueltas) que han sido publicados en otros sitios, y puede conocer qué contenido fue indexado primero. También me parece lógico pensar que Google sabe perfectamente cómo reconocer el código fuente de páginas web que son granjas de Adwords (precisamente porqué el código es suyo) y por lo tanto puede hacer énfasis en el control del contenido de este tipo de páginas. In any case, we are not doing these practices can be calm because this change should not adversely affect, if not the opposite. Our websites should gain positions on the search results pages. Hopefully a few days, see if someone manages to decipher the change and discovered exactly what it is. The official announcement of the change in the Google algorithm we can read in your blog notifications: Adsense Farm Update. Today has been taught in Mataro one of the days dedicated to promoting tourism through the use of Internet. The sessions are organized by the Consortium of Tourism Costa del Maresme and have title: "The impact of digital technology in the tourism sector”. I have had the pleasure of participating in the first presentation of the day and I explained what the basic techniques of Digital Marketing is to attract traffic to the website of a tour company. The other speakers of the day have been Javier Velilla, Who explained the Web 2.0 and its applications and tools, and angel Diaz, Which has very diligently, the audience raised interesting issues and has initiated a debate about the use of internet by tourism enterprises Maresme. The presentation that I used to illustrate my talk is as follows. Google Public Data is a Google service that aims to get statistical data are best interpreted by users. For it offers researchers, journalists and the general public application which generates interactive graphics that facilitate data interpretation. Graphics can be embedded on web pages and are hosted on Google servers (identical to Youtube, but with graphics). In addition, public graphs are updated automatically, so when embedding of one of these graphics on our website, data is updated as the owner of these updates its database. The tool allows you to choose between different chart types (line, bar or bubbles), you can also be chosen the color and size of the variables, and the type of scale (linear or logarithmic) axis. The chart below compares I show the arrival of tourists to different countries of the European Union (vertical axis) with the number of overnight stays (abscissa) ... but can be any combination of data. On 23 February, Consortium of Tourism Costa del Maresme organizes the conference "The impact of digital technology in the tourism sector"In which I have the pleasure to participate. This day is specially designed for entrepreneurs in the tourist accommodation sector. The aim is that from the papers of various specialists Turistic marketing (Which I have the honor to meet) the impact of the adoption of new technologies is analyzed by this business, and how to convert these changes into a competitive tool and a generator of higher margins for the business. For my part, I will emphasis on how the Internet affects the relationship between hoteliers and customers and between hoteliers and tourism intermediaries, and how this relationship will evolve in the coming years. I will also talk about how to attract traffic to the website of a hotel and how to convert customer. 09:30-11:00 Montserrat Peñarroya. Tourist Digital Marketing Specialist. The sessions will be held at the headquarters of the consortium of tourism promotion in the Plaza Miquel Biada, 1 Mataro. For more information on the conference or to register to it, please contact the Consortium of Tourism Costa del Maresme. The next 28 and 30 March a new edition is taught Digital Marketing Course for Cultural Enterprises organized by the SDE (Business Development Service of the Catalan Institute of Cultural Industries). The course consists of 10 hours of classes in which theory and practice are combined (done in the classrooms of the University Pompeu Fabra and each student has a computer). This is expected to get marketers of cultural enterprises have the necessary skills to conceptualize the website of your company and to create an action plan online that leads them to achieve their business goals. Operation of a website: How should be the website of a cultural enterprise? What open source tools at our disposal to create the website? How I can get my website is unique despite using a standard content manager? What I have to do to make my website naturally be indexed in search engines ?, etc. Website structure: What is the basic structure of the website of a cultural enterprise How can I target customer, not product How can I reflect on my website marketing strategy for my company?? How I can get more people to contact us and request information How I can sell more? Online promotionHow do I can give out my website What kind of advertising can make How I can use Web 2.0 tools to promote my website, my products and to publicize my business ?, etc.? We are teachers Victor Francisco, International Digital Marketing specialist and myself. The hours will be from 9:00 to 14:00 on Monday, March 28 and Wednesday 30 March. As I said before, he taught at the University Pompeu Fabra (Ciutadella Campus - Ramon Trias Fargas, 25) in the computer room 40,153. On February 28 I have the pleasure of imparting Building Workshop for Cultural Business Websites which organizes the BDS (Business Development Service of the Catalan Institute of Cultural Industries). La duración del taller será de 5 horas (de 9:00 a 14:00) y el objetivo es que al terminar las 5 horas, todos los presentes consigan poner online una página web, perfectamente funcional, con un gestor de contenidos y con una plantilla especialmente pensada para páginas corporativas. Los alumnos avanzados podrán aprender también cómo se instala un comercio electrónico. During the session, students will learn to create a database using a program that goes up files to a hosting (FTP), learn how to install a content manager (in this case is the WordPress) and learn how to change templates that allow you to customize the website to get make it unique and how content is managed. You do not need technical expertise to do so. A domain name for the website you want to create (for example: vuestronombre.com). You can buy here www.sync.es or any ISP and costs about 13 euros per year. It will also facilitate the work if students arrive with the latest version of WordPress downloaded. It can be done from here in Castilian: WordPress in CastilianAnd from here in Catalan: WordPress in Catalan. If someone wants the multilanguage site, which either download and install class and see how a plugin that allows you to have a website in all languages ​​as necessary. Having all this takes an active couple of days ... so better not wait until the last minute to buy because they serve to have it ready in class. The workshop must be reached with the login and password control panel of the contracted accommodation. This is sent by email when hiring the hosting is done. The workshop will be held on February 28 from 9:00 to 14:00 in the Universidad Pompeu Fabra - ESCI-Born classroom Edifici 4.1 (Pg. Pujades, 1) Barcelona (Attention to the seat! It's the same university, but not the same building in which we impart training normally BDS Digital Marketing, this office is on the other side of the Parc de la Ciutadella, between the courts and Commerce Street). For more information about this course, please contact the SDE. Note to blog readers who are in GironaThis course will impart in Girona in early March and will be specially designed for tourism businesses. I'll write a post soon showing the exact time and place in which it is performed. organizes Costa Brava Tourism. This Tuesday 15 February at 17h30 'in the Hall of the Rector of the UAB held the conference entitled "The role of public media in the context of communication in the XXI century"Monica Terribas in charge of the Director General of Catalonia Television TV3. 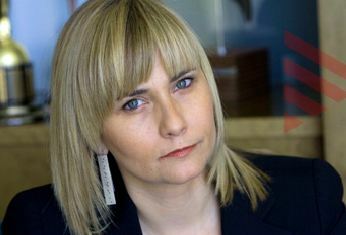 Besides the mere fact of being able to attend a talk by Monica Terribas (for his personality, his resume and crude way of putting reality) the delivery of this conference comes just when it seems that the business model of public television It is transformed and thus also its objectives and its role in communicating society are a means of communication. It promises to be an interesting conference. Monica specific questions can be made through the page Facebook PMASTERS The questions will be collected during the day and Monica made during the event. Exceptionally, this conference is open to students PMasters (The organizers), and the rest of the university community and diverse audience. This was the reason why I thought I should write this post and publicize this opportunity to those who wish to stop by the UAB tomorrow afternoon. It is not always possible to attend events preparing for students ... so do not miss it! It is about to start the program Digital Marketing organizes EADA within its training program from 2010 to 2011. An overview of the world online and Internet marketing. Knowing how to manage the brand and communication and to know the most important platforms online presence. Understand, develop and manage online campaigns. The agenda is developed in 16 meetings, from 24 February to 16 June 2011, all Thursday 17: 30h to 21: 30h. In addition to having a excellent team of teachers 4 lectures by companies today are already doing Internet marketing in all its forms classes are held. For my part, I have the pleasure of being the teacher of Electronic Commerce.